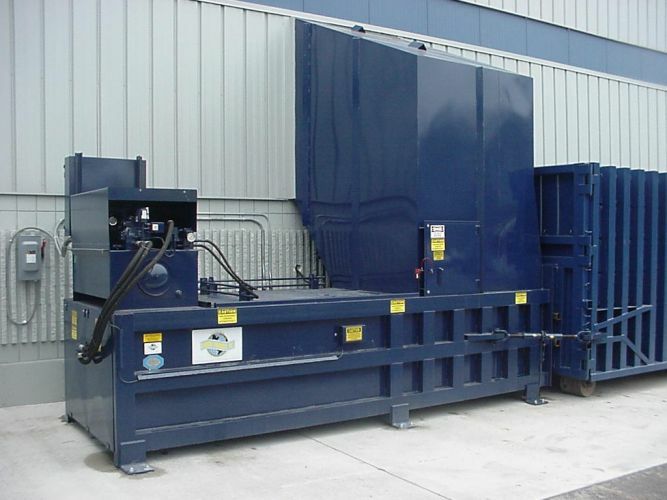 This industrial duty 5 cubic yard machine has a 82” x 60” chamber opening for furniture, skids, self-dumping hopper loads, and recyclable materials. One of the many configurations available would be a total enclosure and drive on deck for loading with a forklift. This model is available with 56,550, 76,960, or 113,100 lbs. of force.